Let’s provide a quick explanation of the situation…. 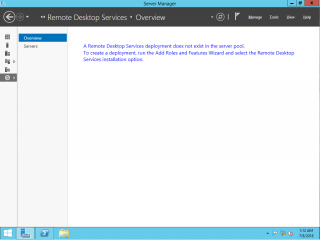 This situation can occur if the installation has been performed using the Add/Remove Roles and selecting directly the RDS roles instead of the Remote Desktop Services installation Wizard (see this post). Based on the information available, the installation was performed correctly using the Remote Desktop Services installation Wizard. So, this was not the issue. This error can also appear if the user trying to open the RDMS is not part of the local administrators group. So, after checking the group membership, we could confirm that the user was a local admin on the RDS server. We also checked that the correct user name (domain based) was used. So far, everything seemed correct…. So what’s the issue….? After scratching our heads, we looked at local firewall configuration..Again, the windows firewall software was disabled (and not in used) but a commercial firewall software was installed on the machine. And guess what, traffic on port 5985 (from localhost) was blocked. This remind me the previous post we have been published recently (see here). It seems that becoming the standard configuration on local firewalls…. This is something we didn’t know. 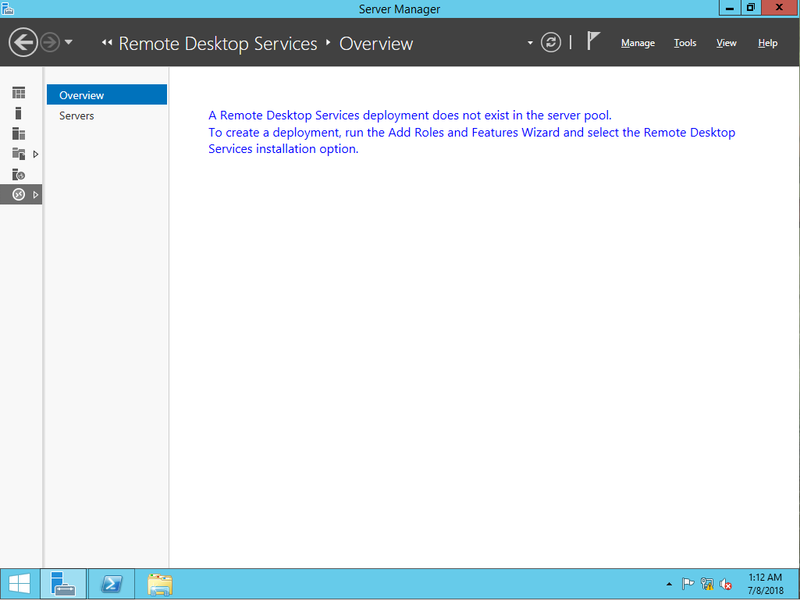 In order to access the RDMS console, the Windows Remote Powershell needs to be available. After re-configuring the firewall software, RDMS Access was restored and the customer was able to finalize the RDS configuration.. The next post might be related to xRDP or RDS 2019 Preview software…. we do not know yet.